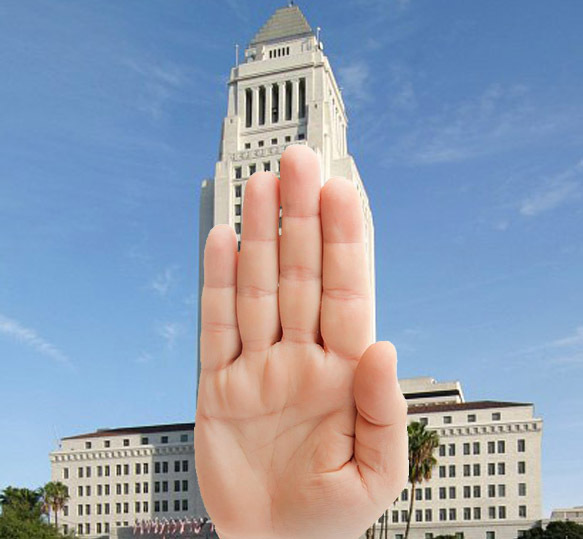 As part of its dragged-out process of rewriting the ordinances governing billboards citywide, the L.A. City Council Planning and Land Use Management Committee (PLUM) is about to receive a report on how the city can install digital billboards on city-owned property. Today I submitted the following memo for the record in opposition to this idea. 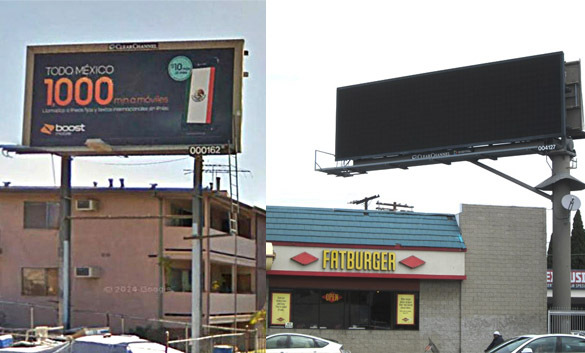 If you don’t want to see billboards on city-owned buildings and properties, send an e-mail to the PLUM assistant: clerk.plumcommittee@lacity.org and ask them to add your message to the public record in Council File 11-1705. Most digital signs on city property will lie outside of any recognized sign districts, in less regulated zones, without the consideration afforded to signs inside such districts. 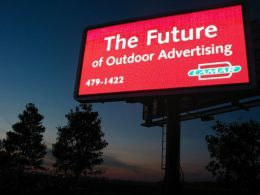 Traffic patterns, immediate surroundings, and local property considerations will likely take a back seat to the fact that a possible spot for a digital sign is city-owned and thus a potential revenue generator. Revenue generation will, we fear, supersede many other local considerations such as environmental, safety, and aesthetics. Having digital signs on city property puts city officials in the position of choosing winners and losers. 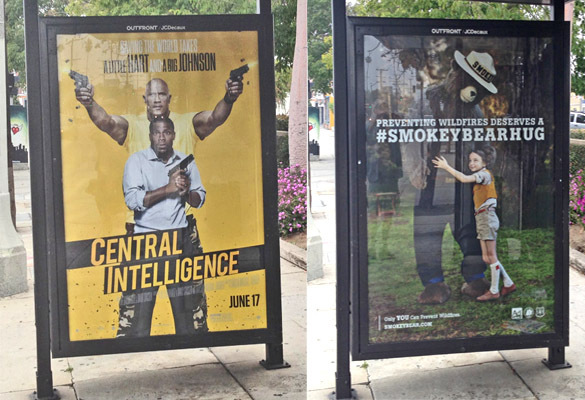 Advertising on city property carries, for good or ill, the impression of city approval. 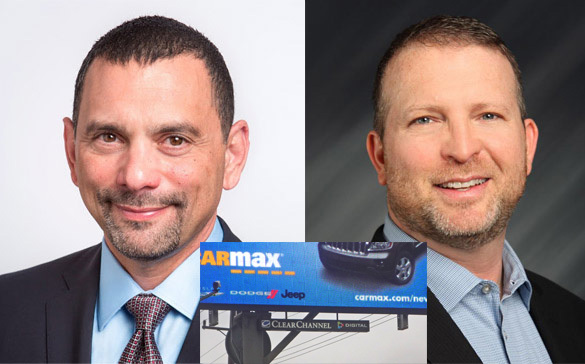 Having the power to decide who gets to advertise on city property opens an avenue for undue influence over city government business, possibly leading city officials to view more favorably any related proposal or matter before them. There is no basis for confidence that future city officials will resist this influence; they may, in fact, abuse this power. The assertion that public good can come from such digital signs on city property is far less than credible. There are many avenues for public service announcements in this day and age, without mixing such announcements with advertising at a massively unfavorable ratio. An increasing number of peer-reviewed studies link digital signs to driver distraction which contributes to accidents. Thus, installing such signs on city property works directly against the city’s Vision Zero regarding traffic fatalities. Because digital signs are very difficult to remove, what you decide on this question will stand for many years. As Abraham Lincoln said, “We will be remembered in spite of ourselves.” The members of this municipal government will be remembered for what they do in office, whatever their actions, political stripes, or persuasions. You are now determining what you will leave behind for future generations of residents of this city. For what would you like to be remembered? 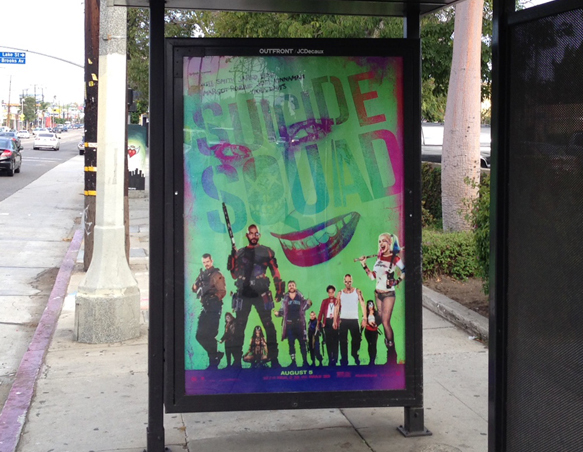 For bringing digital visual blight to numerous communities? For embedding yet more commercial appeals in an already oversaturated environment? For weakening the safety of our streets by implanting further distractions in them? To ask such questions, we submit, is to answer them. 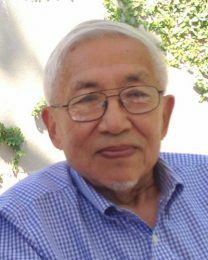 Ted was born in Shanghai, China, the eldest son of Tseng-Yu and Rosy Belin Wong. He was a retired Architect and Graphic Designer; attended Hong Kong University and graduated in Architecture from the University of Brasil in Rio De Janeiro using two separate dictionaries to navigate from Chinese to English, then English to Portuguese. He earned earned a second degree in Industrial Design, a member of the first class at ESDI (Escola Superior de Desenho Industrial), in Rio. His work spanned being on the team that designed the capital Brasilia under Oscar Niemeyer, the office of Charles and Ray Eames, and prior to starting his own practice, a teaching position at the Art Center College of Design. Working with his own team, projects included the Tom Bradley International Terminal as well as the ’84 LA Olympic Press Center. He was a consummate designer, though his career came second to his love for his family and friends. He was as warm and charming as he was critical and irascible, and made friends easily wherever he wandered. He delighted in gathering people for meticulously planned meals and festivities, partnering with his beloved Brasilian wife, Mia, to put on beautiful parties at their home. Ted was a keeper of memories, which he archived in the Helvetica-labelled family photo albums. An account of his remarkable life, The Wus is available on Amazon. 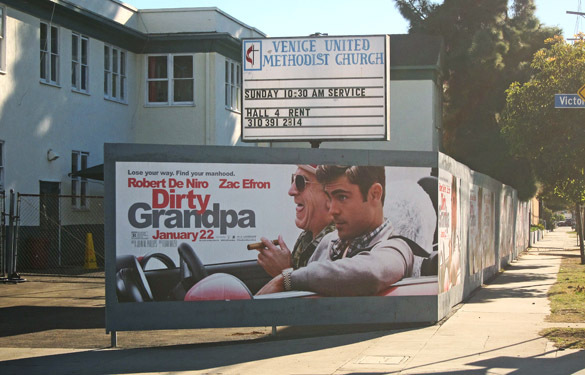 He was a devoted activist against visual pollution, and a lifelong adversary of the Billboard Industry. He is survived by his wife Iracema (“Mia”), daughters Dafna (Jess); Debora (Jeremy); Lena (Felipe); and grandchildren Ruby, Amalia, Naia, Tai, and Iliana. He is also survived by his sisters Ana, Lillian, and Vickie. He was predeceased by his granddaughter Isa Leah and brothers Tony and Bill. He lived by the late Massimo Vignelli’s credo, “The life of a designer is a life of fight; fight against ugliness”. Ted fought the good fight with passion and humor. He leaves us heartbroken, but in a world made more beautiful for his having been here. Donations in his memory can be made to Coalition to Ban Billboard Blight (CBBB) and Mothers Against Drunk Driving (MADD). 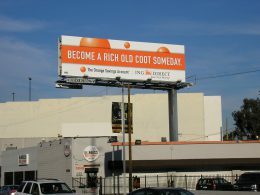 Contributions by check made out to Coalition to Ban Billboard Blight should be sent to Patrick Frank, 1622 Crescent Place, Venice CA 90291. A Memorial celebration is being planned. In April of this year, the Los Angeles Department of Building and Safety issued a permit for temporary construction fence signs at the site of a church on Lincoln Blvd. In Venice. Those signs have since advertised movies, TV shows, and Airbnb to an audience of motorists on one of the most gridlocked thoroughfares on the west side of the city. I consider this an attack on my personal integrity, because I always strive to be factually accurate and avoid taking things out of context or otherwise trafficking in misinformation. For example, before writing about PLUM committee meetings I almost always listen to the meeting audio, to make sure that I heard things correctly and that I accurately quote committee members and other speakers. I have a definite point of view about the signage issues the PLUM committee deals with, but that doesn’t mean I believe in using less than ethical and honest means to promote that view. 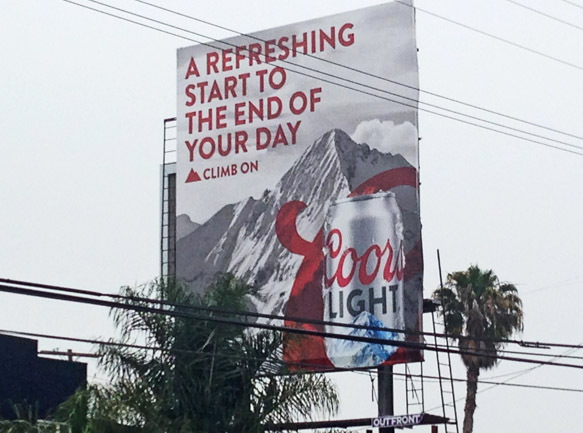 But your accusation was more than just an attack on me, it was an attack on the very idea that L.A. residents are entitled to be fully informed on the issues that affect them, in this case issues of billboard and signage regulation. That’s because the large majority of those residents can’t come to PLUM committee meetings to hear the discussion firsthand. Unlike lobbyists, billboard company representatives, and others who are paid to attend these meetings, most community people can’t take time off work, arrange child care, and make the necessary adjustments needed to attend a weekday meeting at City Hall. So, without someone reporting on the details of those meetings, they are denied the knowledge they need and deserve to form opinions and make decisions about the issues at hand. I’m not paid, either, but I’m fortunate enough to be at a stage of my life that I can devote a significant amount of time to a cause I consider very important to the mental and physical health of communities throughout L.A. And an important part of that effort is to inform those citizens who want to know what their elected representatives are doing about billboards and signage but don’t have time to attend the many meetings held on the topic or read the many lengthy reports issued at various points in the deliberative process. Unfortunately, your public statement at the Aug. 24 PLUM committee meeting tells those citizens, in essence, that the information they read online at the BanBillboardBlight website or in CityWatch or hear in public service programs on local radio stations is “wrong most of the time.” Doubly unfortunate is the fact that you didn’t specify a single instance of what you considered wrong, so it’s just an accusation put out there, deliberately or otherwise, to create doubt in some people’s minds that what they’re reading and hearing is factually accurate. I have been writing articles about PLUM committee actions and deliberations, as well as those of the City Planning Commission and other government agencies, for almost nine years. In that time, not a single billboard company lobbyist or billboard company executive or employee has approached me and said that something I wrote was false. Not a single member of the PLUM committee, present or past, has contacted me to make that complaint. Not a single City Councilmember, not a single city planner or member of the city attorney’s staff or any other city official involved with billboard and signage issues has told me that something I wrote was inaccurate. You surely understand that people come to meetings and otherwise involve themselves in community affairs, not because they are paid to, but because they believe in a vision of a better community and a better city. Those people deserve the respect and even the encouragement of their elected representatives, regardless of where they happen to stand on a particular project or issue. Those people deserve access to as much information as possible, so that they can make the kind of informed decisions that are in important part of the bedrock of a democratic system. I hope you will take that into consideration before making unsupported accusations against someone who has volunteered his time and energy to disseminate that information as widely as possible and help make the system work the way it was intended.